Westpac, a major Australian bank, identified that they were missing out on opportunities to drive growth through data collaborations. The problem was that data sharing was too legally complicated, risky and timeconsuming. Concerns around how data would be used, stored, shared and destroyed resulted in uncertainty and inaction. The bank needed a way to give authorised parties access to data without releasing it and have confidence any data shared was used for intended purposes only. Beyond the scalable management of risk, legal terms, privacy and information security as it relates to data sharing, there were also the technical challenges associated with provisioning data to parties beyond the bank’s environment. The bank needed to ensure that they could retain visibility, control and revoke access to datasets. And, they needed a solution that wouldn’t further burden or drive up costs for internal IT team. 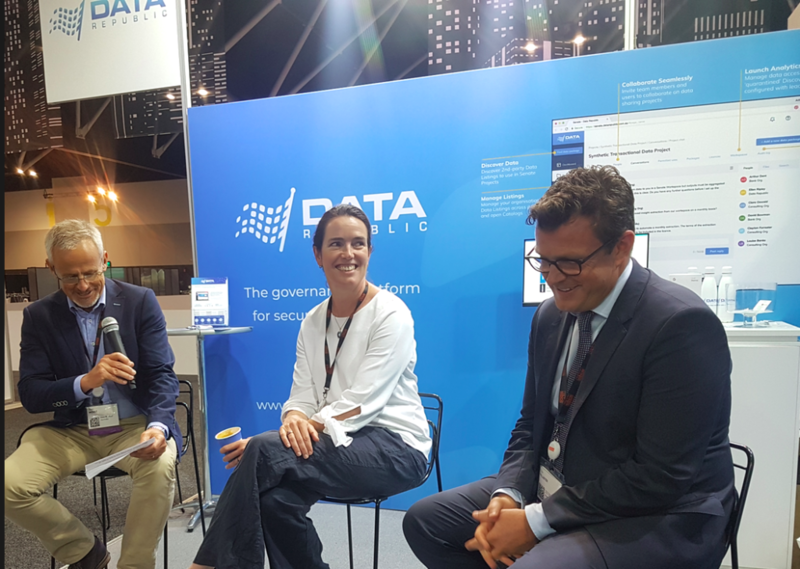 Westpac partnered with Data Republic to deploy the Senate platform to govern data collaboration and commercialisation activities with external parties. Deployment of Senate has transformed the way Westpac collaborates with data; accelerating outcomes for internal analytics projects, generating scalable revenue from data assets, and supporting innovation through new partnerships, while ensuring that customer privacy is protected at all times. No Westpac customer personal information (PII) is ever seen by Data Republic users: only anonymized and aggregated data is uploaded or exchanged via the Senate Platform. In addition, risk management capabilities are stronger. Senate provides a data sharing control centre with an approved process for requesting data, and a comprehensive audit trail for all data licensing. The simplified legal framework boosted productivity, with new requests being processed in days, not months. This has resulted in a reduction of man hours and increase in new data driven value creation being explored. from a range of industries have benefited from insights gained via analysis of the bank’s data. have been developed and launched via 12+ new partnerships forged on the Senate platform. using licensed bank transaction data for modelling and policy. and 2 university datathons have used licensed bank data.